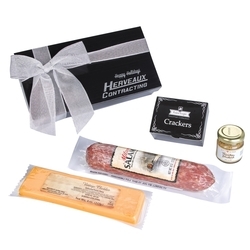 Charcuterie gourmet meat & cheese sampler set. 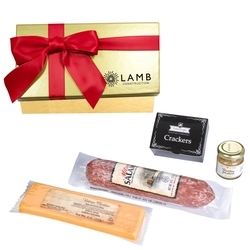 This epicurean delight includes dry cured salami, cheese, crackers and gourmet mustard. Comes in a gift box which features a full-color lid bow to spread your holiday message of cheer. 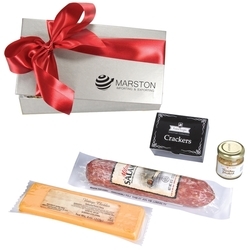 A great food gift set for any clients for the holidays or Christmas.